A worldwide group of astrophysicists directed by Lars Fuhrmann of the Max Planck Institute for Radio Astronomy in Bonn, Germany, worked with some of the best single-dish radio telescopes for numerous years, in grouping with NASA's Fermi Gamma-ray Space Telescope, to observe the place where the high energy eruptions happen. For the first time a link between intense eruptions of high energy gamma-ray discharge and their counterparts at many radio frequencies has been proven for a large section of galaxies. Determining interruptions in time between these measures created improved constraints on the precise location in the locality of supermassive black holes where the gamma-ray eruptions occur. Unusual kinds of distant active galaxies and their deepest crucial areas display great physical progressions. 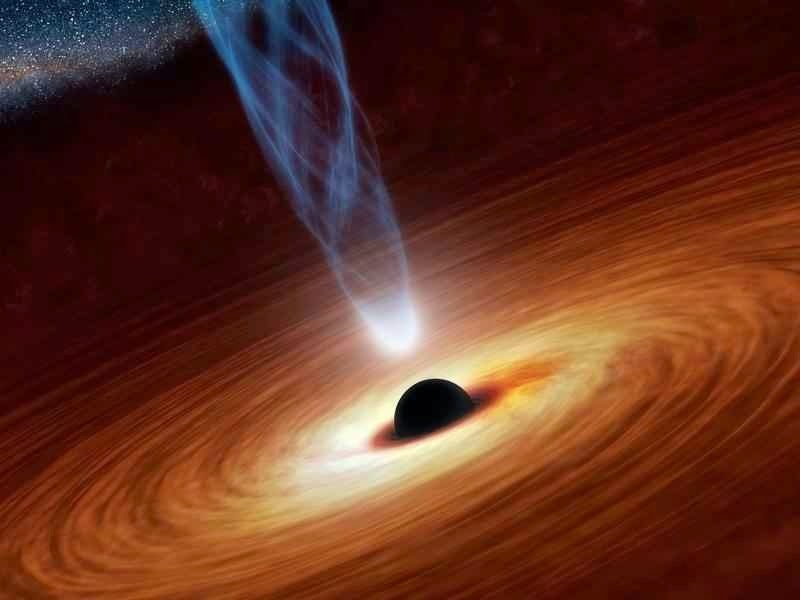 In the locality of a rotating supermassive black hole, which is in fact billions of times heavier than our Sun, a huge quantity of energy is released, frequently in the utmost active form of light: photons with high energy gamma ray at mega- or even gigaelectronvolt (MeV/GeV) energies. This energy production is created by serving the black hole from nearby stars, dust and gas. Matter is flying in onto the black hole and strong magnetic fields channel some of the infalling gas into two great, well collimated "jets" of plasma accelerating away from the core with velocities touching the speed of light. Several of the linked physical procedures are not assumed in detail so far, for example the creation of high-energy gamma-ray photons and their place of foundation inside the jet, or the source of strong outbursts of emission through the entire electromagnetic spectrum. New tools and spotting programs covering a huge fraction of the whole energy spectrum approximately instantaneously allow new visions into the extreme physics of these mysterious things to be acquired. The outcomes were distributed in the recent issue of Monthly Notices of the Royal Astronomical Society.